No matter how great your product is, you can’t expect to sell it with that blurry, badly lit photo. I don’t know if I can count how many times I’ve received product photos from a client and had to immediately let them know they were completely unusable. 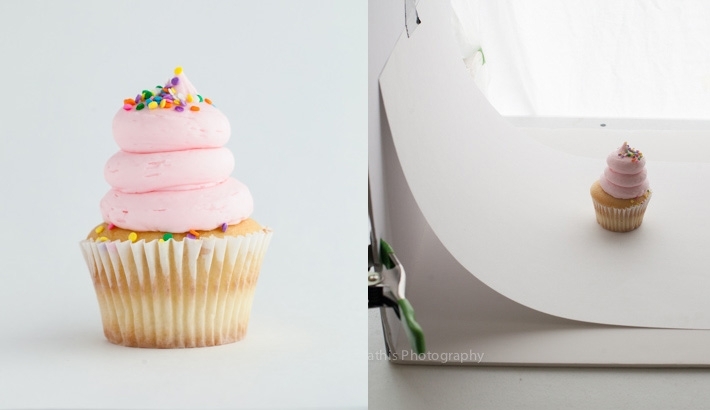 Beautiful product photos are a luxury to can afford. Bad product photos are worse than just a useless sales tool. They will actually discourage a potential customer from taking a chance on your product. Remember this. Anyone browsing your website is thinking about taking a chance on your products. This applies just as much to a service oriented site too but we’re going to focus only on products for this article. Your low resolution photos send a clear message that you don’t take your business seriously. “But Sean! That’s really harsh. I’ve spent a lot of time and worked really hard.” That’s great. But unless you have good photos, no one will believe you. Unless you’re a seriously well known brand that carries around a lot of social proof, anyone that comes across your site will be constantly looking for a reason to not buy what you’re selling. Assume that you and your site are completely untested and unknown to them. Assume they’re suspicious of you and the quality of what you’re selling. Then imagine all of they’re possible objections and take them away one by one. Professional, well designed website that’s easy to navigate? Check. Good sales copy and compelling product descriptions? Check. Social proof in the form of testimonials? Check. Beautiful product photos? Check. Whoops. You build trust in the mind of your customers by addressing their reservations. Take your customers seriously and they’ll take you seriously. You only have a few chances to build trust. Ignore one item on this list and you may still get some sales. Ignore two of them and you probably won’t get many (if any) at all. If you’ve read anything else that I’ve written about starting out in business and online marketing, you know that I lean toward solutions that cost less and result in more. Before you start shopping for a new $1,000 with a telephoto lens, consider that 4-year-old digital camera in your closet. Or your smartphone. If you have a newish phone then it probably has at least an 8-megapixel camera. That’s more than enough for a beautiful product photo! If you’re a little rusty about what the heck a megapixel is or how many of them you need, this article at Digital Photo Secrets is a pretty good refresher. 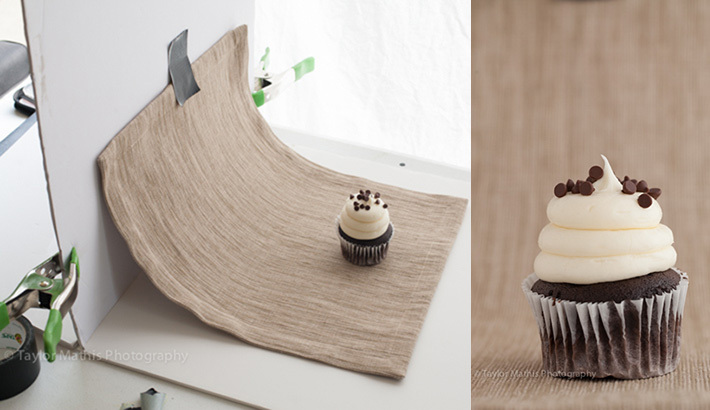 Set up your mini photo studio. If you read the Digital Photo Secrets article then you already know that you’re going to want at least a 6-megapixel camera. For reference, both the iPhone 5 and 6 have an 8MP camera and the 2016 Samsung Galaxy camera delivers 16MP. Both of these two phones (and many of the others on the market) have cameras with more than enough resolution for your product photos. Use a sheet, roll of paper, or poster board as your backdrop. Arrange your backdrop of choice into a sweep. A sweep is a seamless background. This isn’t totally necessary though. There are plenty of good product photos with backgrounds in them. These images are taken in situ. That means the product is shown in context. Consider that a level two type of product photography since it involves a whole new set of concerns like lighting and background arrangement. I can turn out pretty nice like the product pages at Native Union. We can dodge those for now by using a sweep and photographing all our products in front of a consistent background. This will make any digital post-processing work much easier. See a sweep in action in this image from fstoppers.com. The image shows a paper sweep. This could just as easily be a sheet or poster board. Pixelz.com shows a slightly varied approach in this next image. They add a piece of foam board to reflect light back. This reduces the shadows on the side away from the light source. Pixelz.com adds a foam board to reflect some light back and reduce shadows. In this image, fstoppers.com uses a textured background to achieve a much different look. Place a table in front of a north facing window. In the Northern Hemisphere, painters set up easels in front of north facing windows because the light is basically even throughout the day. This is something I picked up in art school. This means you can paint, or take photos all day and have just about the same light conditions. If your table is large enough, you can place your camera directly on top of it. Next layout out your sweep and prop up your light reflector. A lot of newer cameras include image stabilization features. We want to take it even further though but using a tripod or something similar to hold the camera. If you’re using a higher end camera then chances are that you already have a tripod or at least know something about what’s available. Want to buy one? There’s no need to spend hundreds. This one is less than $20 and looks like it will do the job. Should you plan on using your smartphone, no need to worry. You’re covered there too. Check out this one and this other. Go Take Some Beautiful Product Photos! This is all you need to get started. Get started taking some gorgeous product photos!! Post a link to your site in the comments. I’d love to see your beautiful pics. Product photography is big thing . If your camera is not preface then shot are expensive. So take a perfect shot in a very competitive pricing.